Margaret Ferguson, MD, MBA, was named president and executive medical director of the Colorado Permanente Medical Group in late 2015. The Colorado Permanente Medical Group is comprised of nearly 1,200 physicians and 35 specialties. Kaiser Permanente Colorado serves a population of more than 660,000 members. 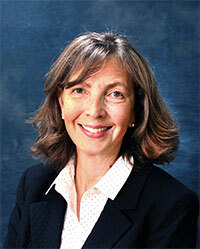 Dr. Ferguson has worked at CPMG in various roles that have given her broad exposure to the organization. Most recently, she has championed impactful utilization resource initiatives as a member of the Colorado Permanente Executive Team as vice president and chief of value. Prior to that role she served as physician director of resource stewardship and pediatric hospitalist physician lead at CPMG. Dr. Ferguson came to Kaiser Permanente in 2004 to help build the pediatric hospitalist program at Exempla Good Samaritan Hospital, one of Kaiser Permanente’s hospital partners. Dr. Ferguson received her medical degree from the University of Colorado School of Medicine, and earned her master of business administration from the University of Colorado. She began her career in health care as a registered nurse, and spent many years at Children’s Hospital Colorado (CHC) in Denver, in that capacity. She also worked at both CHC and Denver Health as a pediatric intensive care physician.